This peak is #7 in Prominence List for British Columbia .Located south of the Stein River, and north of Kwoiek creek. Pronounced Ski-hist. ("Ski" as in "ski touring", "Hist" as in "history"). 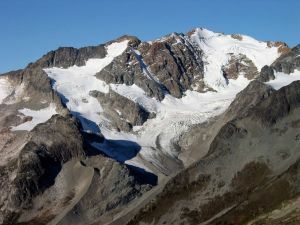 It is the highest peak in the Culbert and Fairley climbing guides to SW BC. The south ridge is the standard route. Class 3. Name Notes: This peak is related in Indian lore. Skihist means "jump" or "leap".